Here’s Week 18, Meal 3: Baked chicken milanese with arugula, cherry tomatoes, poached egg and crispy prosciutto. As always, prep your face off. Start by halving 1 pint of cherry tomatoes (mine are grape, Henry’s was out of cherry). I couldn’t find 2 6 oz. chicken breasts (apparently all chicken’s are mutants now) so I butterflied 12 oz. breasts completely in half and pounded them thin. 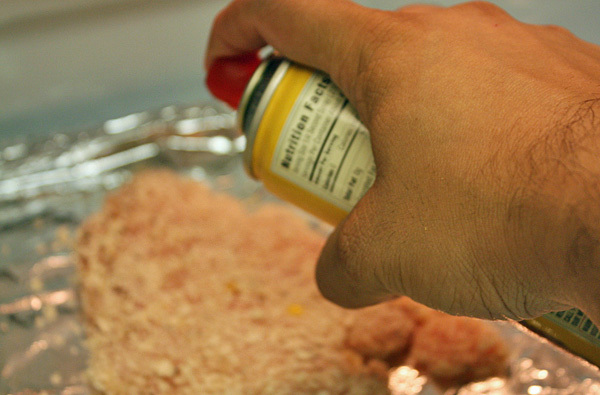 If you do find the smaller size breast, hinge cut the meat and pound it out thin. The idea is for the chicken milanese to be the “plate” for the salad on top. 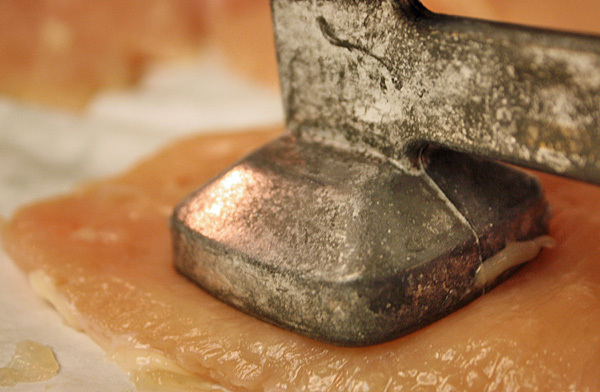 Pound the chicken as thin as you can without destroying the cutlet. At this point, preheat your oven to 425 degrees and get a pot of water boiling. You want about 3 inches of water. Season cutlets with salt and pepper. Next, set up a breading station with three separate bowls. In the first: 2-3 T of whole wheat white or all-purpose flour. In the second: 1 egg and 1 T of water (whisk it together vigorously). In the third: 1 cup panko bread crumbs. Coat the chicken with flour, then egg, then panko. 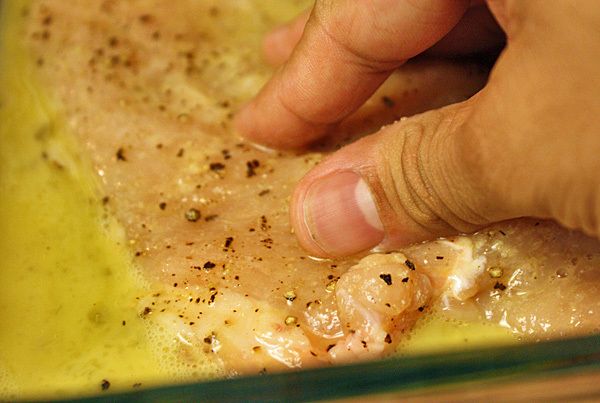 Place the cutlets on a baking sheet and hit both sides with cooking spray. We’re about to get our multitask on. If you work quick, this meal will come together in about 15 minutes. Make sure the water is boiling before you throw the chicken in the oven. Bake the chicken for 10-15 minutes, until cooked through and golden brown. 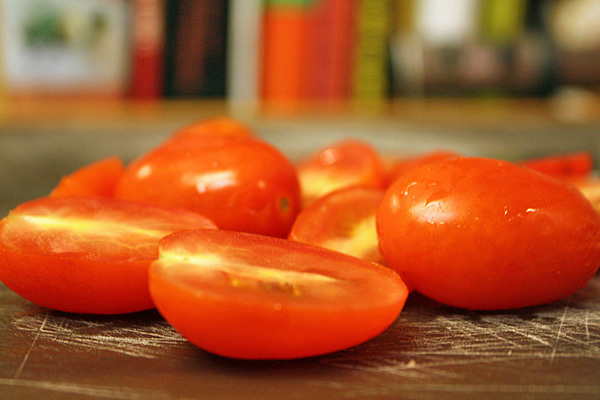 While the chicken is baking, combine the cherry tomatoes with 1 oz. 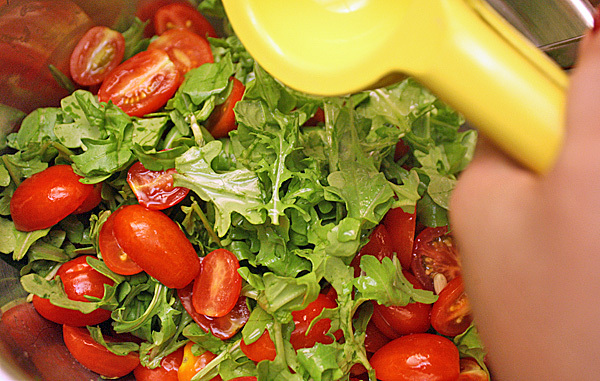 of arugula and the juice of 1 lemon. I added a little salt and pepper to the salad for flavor. Slice 1 oz. prosciutto into thin strips (about 1/4 inch). Heat 1 T of vegetable oil in a medium saute pan over high heat. 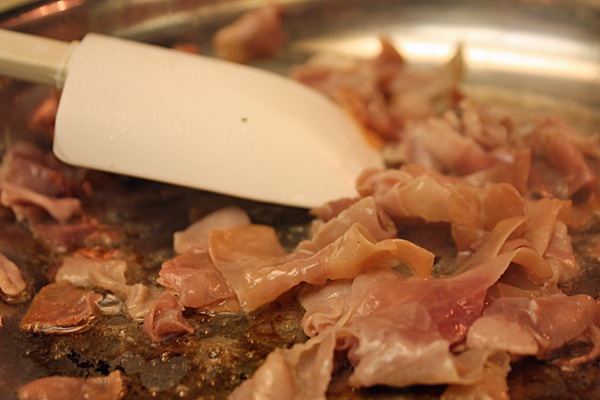 Add prosciutto and cook, stirring often, until the prosciutto crisps up and becomes dark red — about 1-2 minutes. Transfer to a paper towel to drain the fat. Toss the 1/3 cup of white vinegar into the pot of boiling water, give it a stir and reduce the heat on the pot to low so the water stops boiling. Drop each egg in separately and let them cook for 4 minutes, maybe 15 seconds longer. The whites should be cooked and the yolk will be runny. 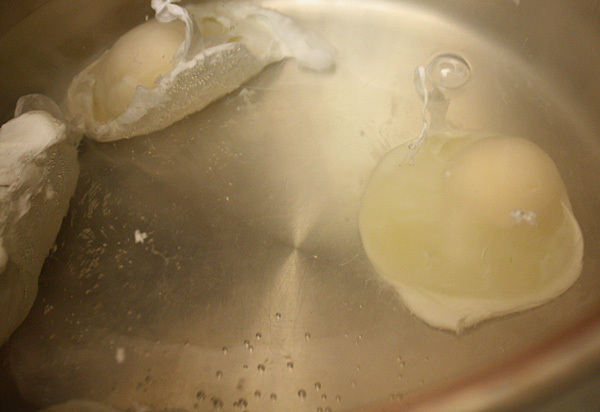 Remove each egg with a slotted spoon, and slide into a bowl of lukewarm water. This will rinse off the vinegar. When you remove them, pat each one dry gently with a paper towel. 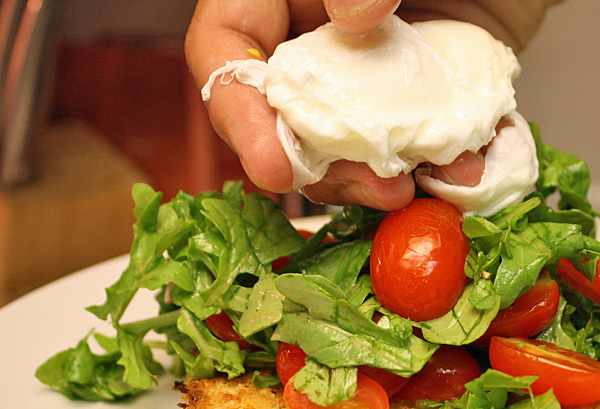 To plate: Top a chicken breast with a share of the salad, one poached egg and crispy prosciutto. Pop the egg, and mix with the salad. 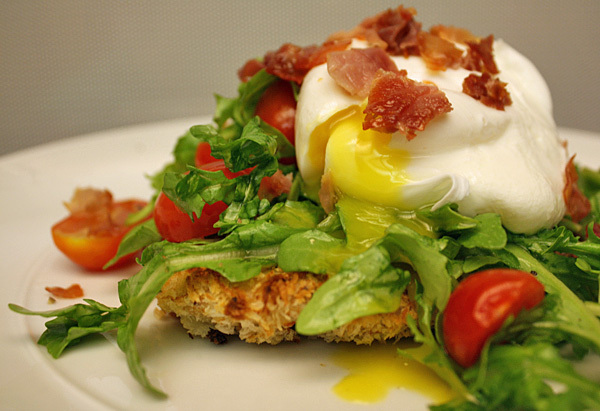 The yolk becomes a rich dressing that pairs perfectly with the crispy chicken breast below. This one is quick, delicious and going on my short list!